While I’m not quite ready to go the whole nine yards on the birds and the bees talk with my three-year-old, I’m still weighing in on the wonderful side of this unique doll. Kids are naturally curious and want to be involved when their mum or someone close is having a baby and this doll is a beautiful way to share in the experience – it is accurate but still innocent and perfect for role playing and helping bigger brothers and sisters adjust to a big change in family dynamics when a new baby arrives. 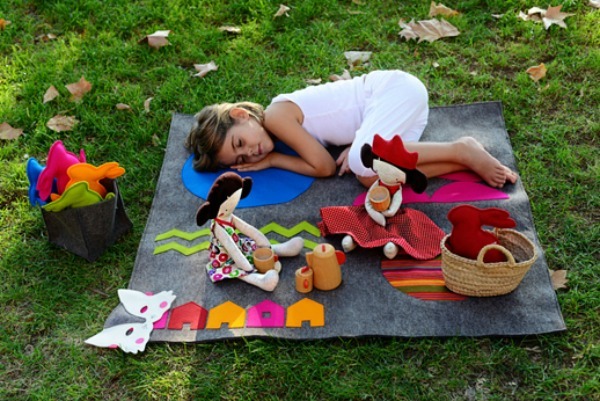 Frida’s Tierchen is a Spanish brand specialising in handmade toys that are timeless and original in design as well as refreshingly simple to leave space for creativity and imagination to reign. These lovely pregnancy dolls represent a pregnant mother that gives birth and breastfeeds her baby. They favor symbolic play and the comprehension of vital processes as birth and breast-feeding. Mother and child are united by a symbolic cotton umbilical chord that can be left intact or cut when representing the birth of the baby. The dress of the mother is crossed at the front and both the mother and the child have little magnets sewn within the tissue that allow the representation of breast-feeding by attaching the baby to the breast of the mother, who can also carry the baby within the carrier. 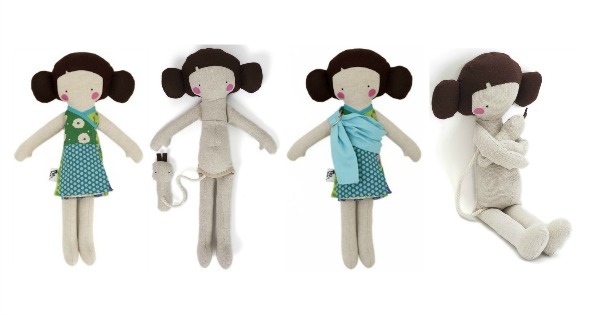 Made from 100 per cent wool and cotton with a polyester filling produced from recycled plastic bottles, these dolls are durable, natural and very tactile. The doll measures 45 centimetres in height and the baby is 12 centimetres and are available in either a blue, turquoise, orange or pink dress. Frida’s Tierchen also produce an adorable range of dress ups including animal masks and Indian headdresses as well as music boxes and play rugs. Buy the pregnancy doll online from Frida’s Tierchen for €74. They are made in Spain but deliver worldwide. If you like the idea of a pregnancy doll, you might also like to revisit our post about birthing dolls – yes, dolls that can have a smaller baby doll via c-section, vaginal or VBAC delivery.